Perhaps you’re looking forward to redecorating your living room or buying new furniture for your home, and the first thing that you decide on is the sofa. What next? The coffee table, of course. The focal point of every living room. 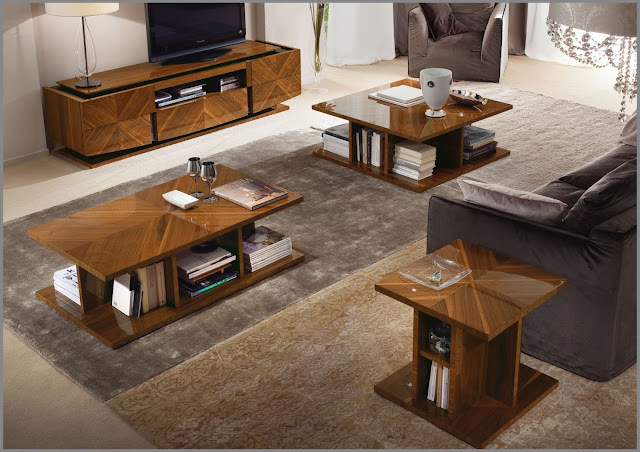 We have put together a list of COFFEE tables that suit different styles of furniture and decor. 1. Tonin Casa Alaric: This contemporary table entirely made of glass has a doubled-top and a magazine rack. Alaric is suitable if you have a more space in your living room. 2. 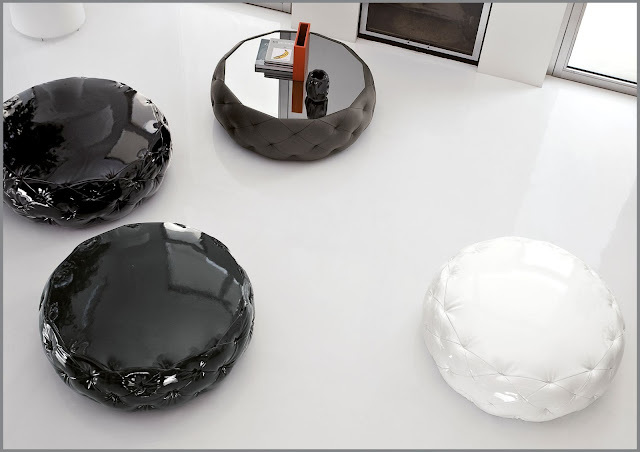 Tonin Casa Amira: This round table comes in three sizes. The base is made out of ceramic. Amira comes in wide array of colours to match your decor and is versatile when it comes to fitting into any floor plan. 3. 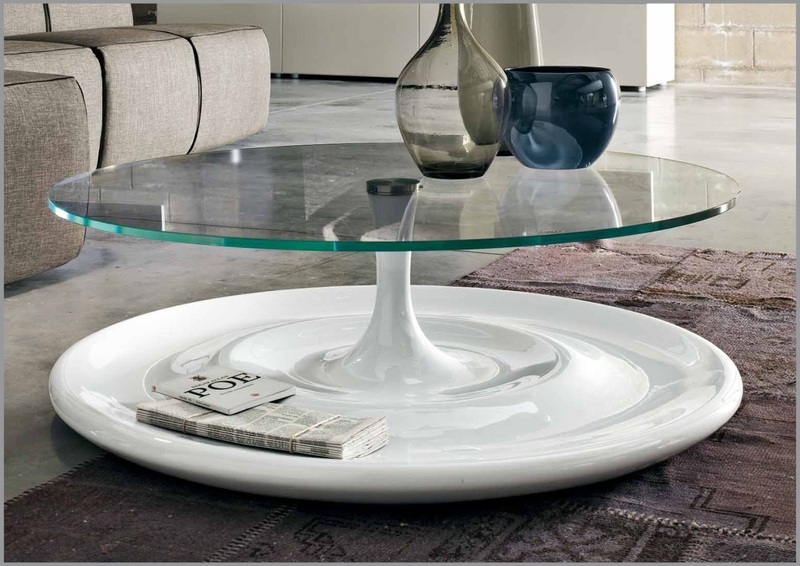 Tonin Casa Dubai: An oval shaped table with a cultured marble base and tempered glass top. The base is painted with RAL colours. Its oval shape and the base in the middle are an added advantage as foot injuries are less while moving in and around the room. 4. 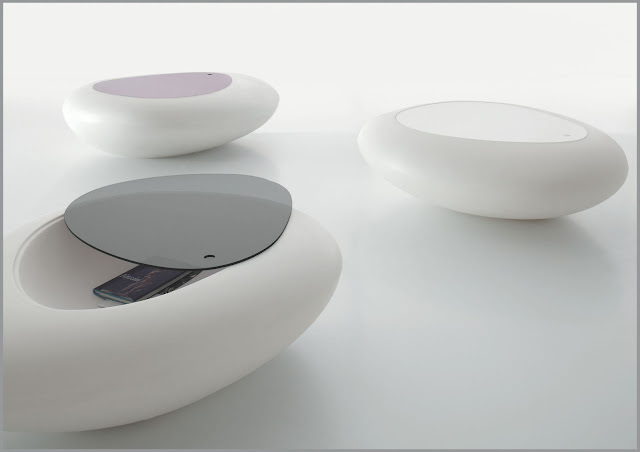 Tonin Casa KOS: It's an oval shaped table made of polyethylene structure covered with a plexiglass top. It has an internal storage space to hold wine bottles or show pieces. The top comes in different colours while the base comes in various finishes. There’s also an option of internal light for the base. 5. 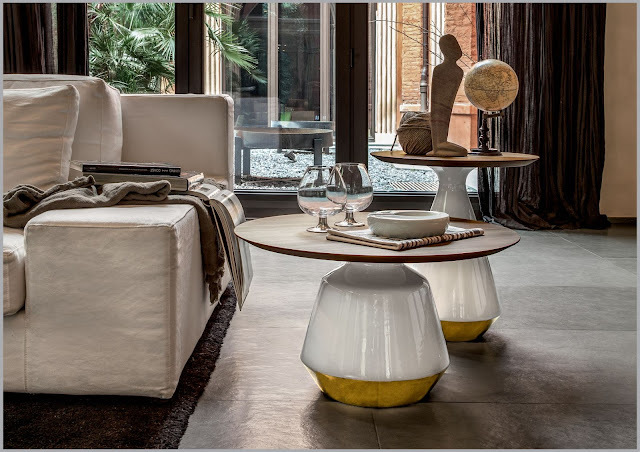 Tonin Casa Splash: This round table with a round cultured marble base is available in different finishes. 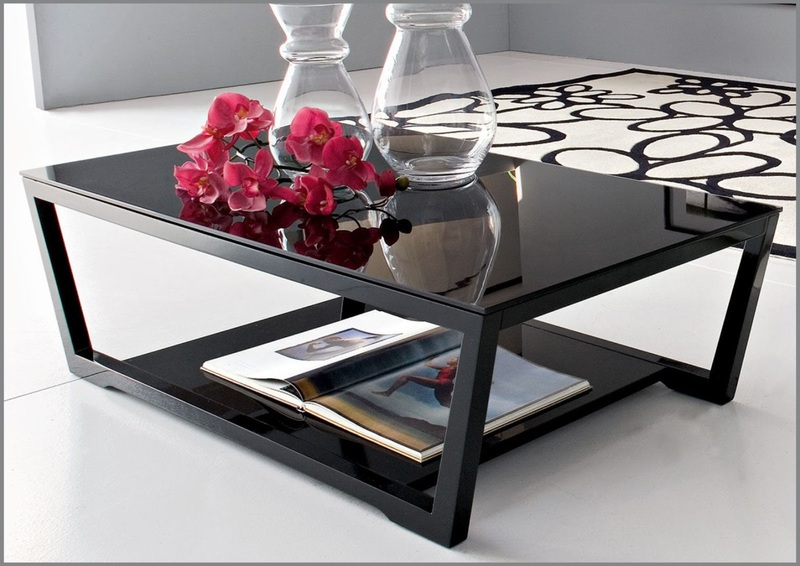 This glass top table is suitable for a living room which has a large floor plan. The base can be used as a magazine or book holder. 6. Calligaris Tweet: A coffee table with a double top available in veneered wood or in the lacquered finish version and a metal base. Its uniqueness lies in the number of possibilities of customization you can make depending on your choice to create a unique object for your home. The curved sides are always a plus, as the injury is less. 7. 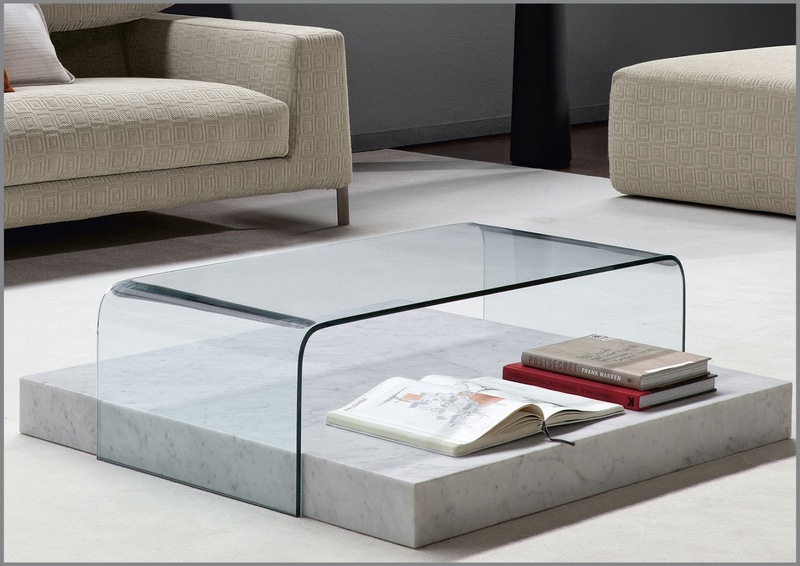 Calligaris Shell: A distinct rectangular glass table made entirely of glass. This timeless design is inspired by the shape of a shell. The curved glass table is ideal to be placed in front of a sofa, to have everything at your fingertips in your relaxation and social areas. It has a magazine holder too. 8. Calligaris Islands: It's a low triangular table with a pedestal base. A contrast of brightness is created between the large lacquered glossy top and the lacquered matt base highlights the triangular shape, with rounded edges. This table has a flexible personality which allows it to blend easily in the living room. Island comes in two more variant sizes and shapes. 9. 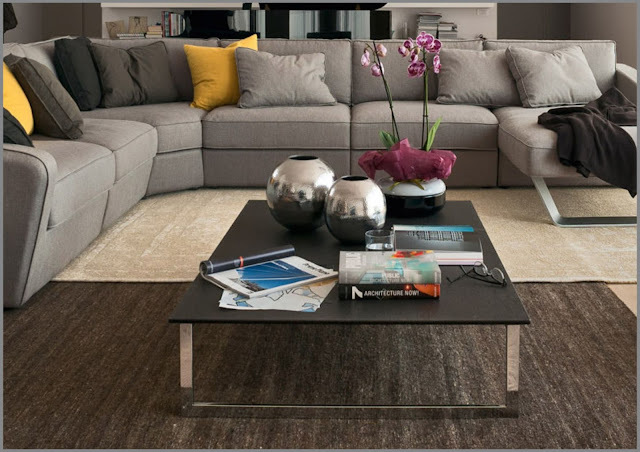 Calligaris Endless: This low coffee table has a large rectangular top and a metal base. The table is available in various finishes of glass and ceramics, and thin yet durable metal frame. 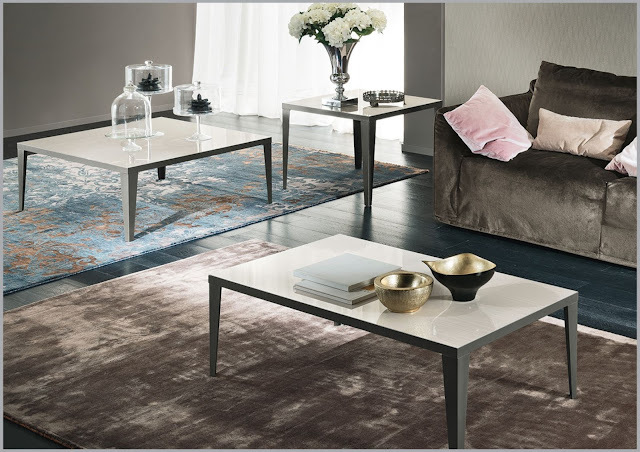 Combined with a glass-and-metal table, it can create a living area with an informal and contemporary feel. 10. 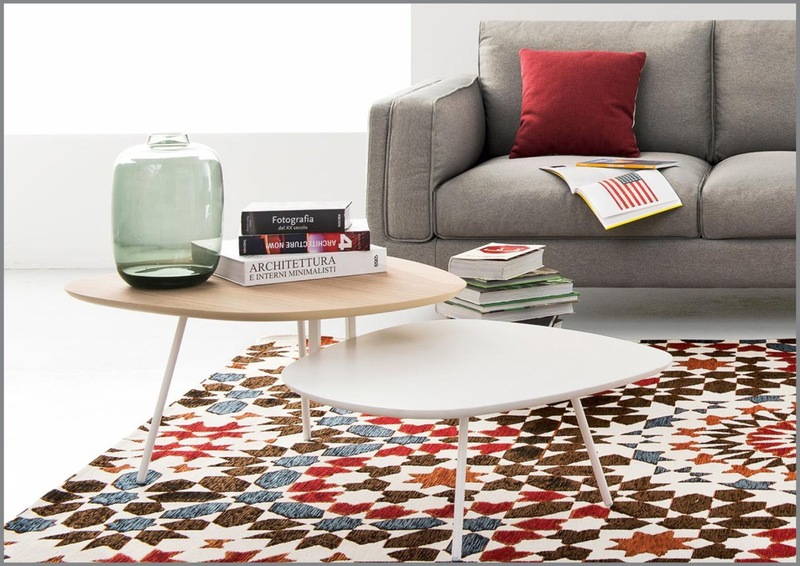 Calligaris Element: A low, square table with a wooden frame base and a tempered glass top. You can place magazines or books at the bottom and flaunt your coffee table books collection. It’s the ideal piece of furniture to have everything at your fingertips. 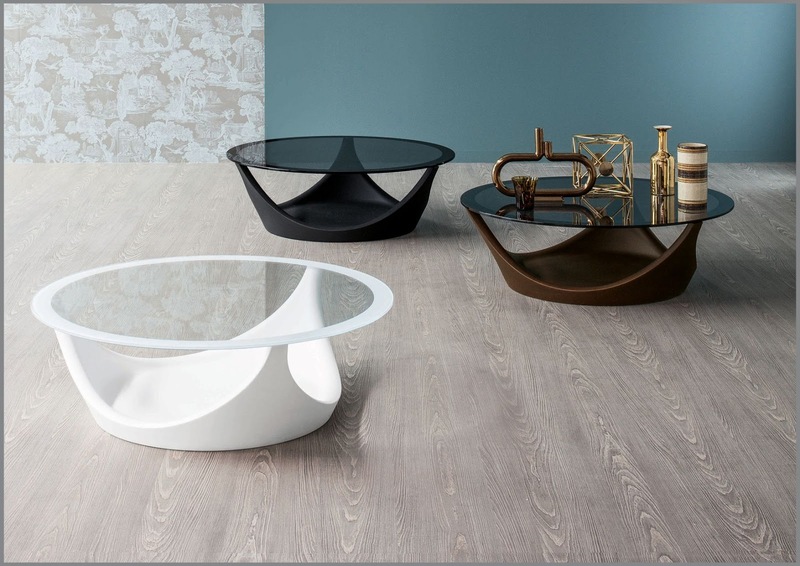 There are two more versions of the Element table in different sizes and shapes. 11. 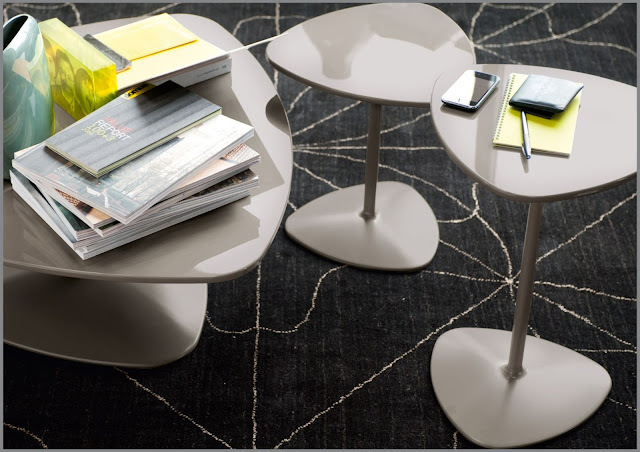 Bonaldo Arvo: A round table with a storage base that supports the table top with its distinguished three arms. The top and base come in different finishes and colours. Arvo is characterised by an air of harmony and elegance. 12. 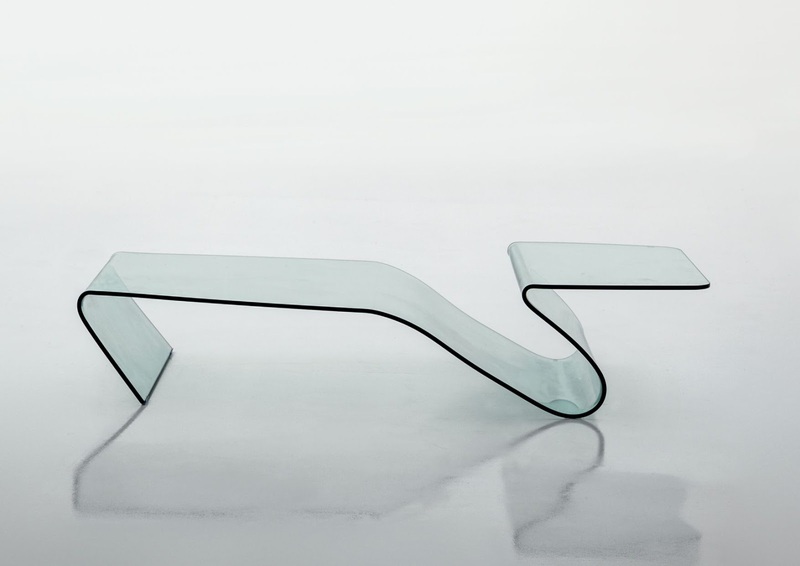 Bonaldo Bend: It's a longitudinal table made with a combination of wood and steel. The top appears as a single slab supported by the two tier steel base. The hollow space is between can accommodates coffee tables books, magazines and the like. 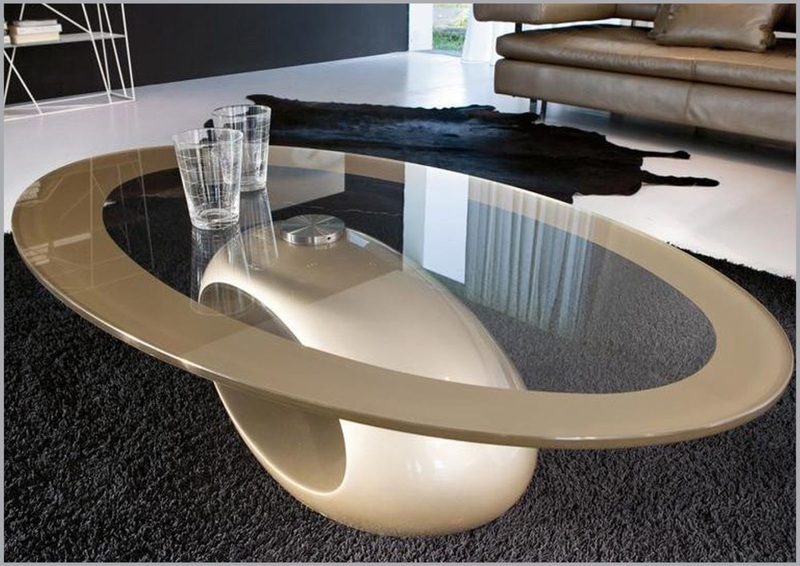 The base is available in different colours and the top in various finishes. 13. Bonaldo Exell: A low rectangular table that stands out for its chromed steel feet and engraved table top which forms an original and stylish pattern. The table top is available in different finishes. 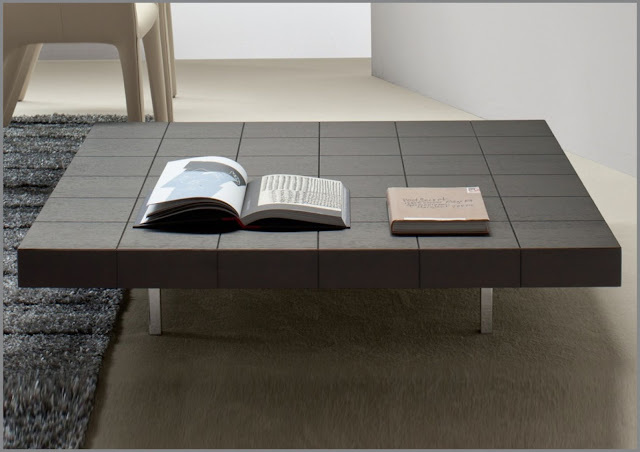 This table is ideal if you have a low sofa or furniture. 14. Bonaldo Glam: A round glass table with a polyurethane padding. The top comes with an extra-light mirrored or black pearl glass. Its button tufting look gives an opulent feeling to your space. 15. Bonaldo Ribbon: It has a square matt white Carrara marble base and curved glass table top, with transparent or smoked black finish; the two elements offer two practical storage surfaces. Ribbon is available in two different sizes. 16. Alf Italia Accademia: A rectangular table with a termocotto oak finish. This table has two more additional tables that can be nested and add as an extra top to keep centerpieces or magazines. 17. Alf Italia Italia: It's a square table with a walnut canaletto high gloss finish on the top. 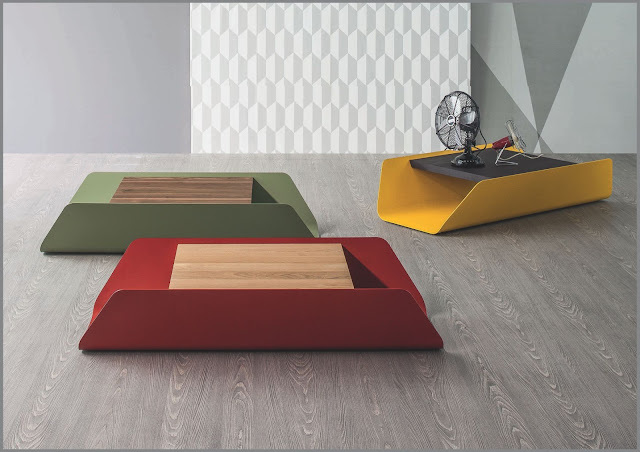 The base equally in size and shape acts as an extra storage unit for books and accessories. Italia is available in three sizes. 18. 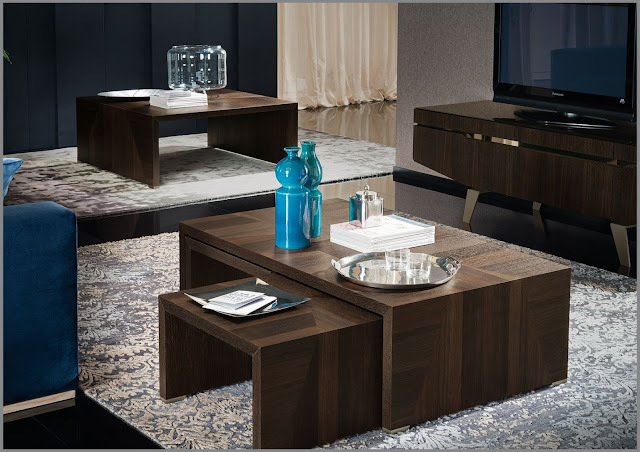 Alf Italia Opera: It comes in three different sizes with a walnut high gloss finish. 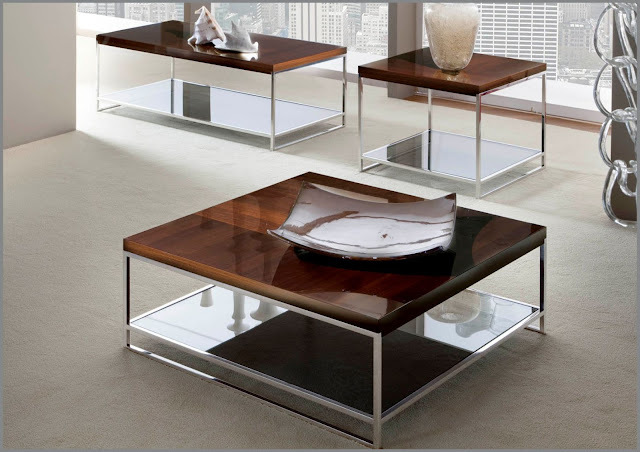 These tables have a base with sections to place your coffee table book collection. 19. 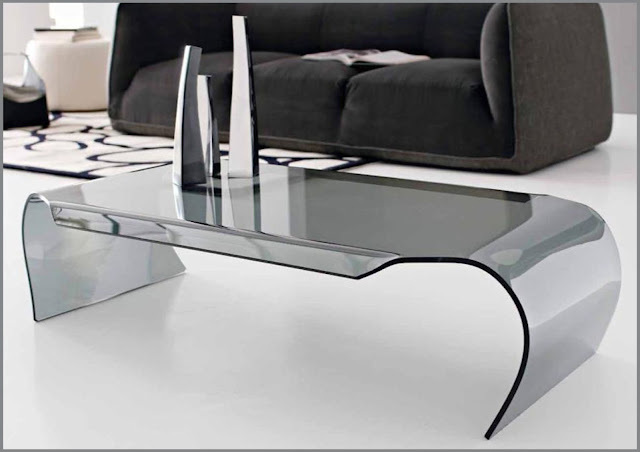 Alf Italia Mont Blanc: A table with a light koto high gloss on the top. It has a base that narrows as it goes towards to the floor. It comes in three sizes. Simply yet sophisticated. 20. Alf Italia Teodora: It has a top in emperador stone finish high gloss and a base in light elm eco veneer. A table that blends into classical or modern setting. CHECK OUT THE 17 MOST FUNCTIONAL DINING TABLES FOR ANY SETTING HERE.